Earn $2.70 in VIP credit (270 points)What's This? 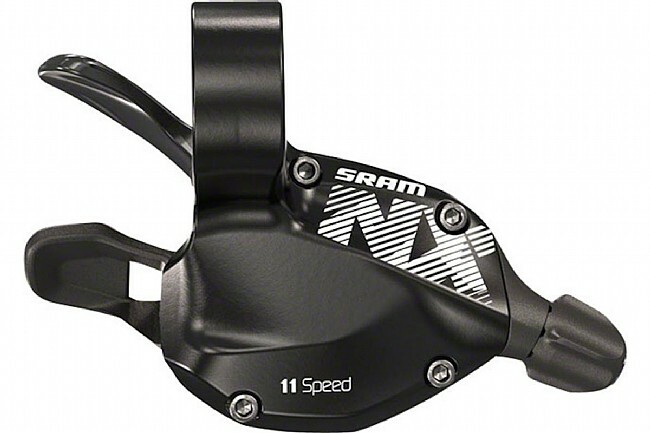 SRAM brings their X-Actuation™ technology to all with their 142 gram NX1 Rear Trigger Shifter. Designed specifically for SRAM 1x™ drivetrains, this shifter shifts smoothly and consistently across the entire cassette. Compatible with SRAM 1x11 drivetrains. X-Actuation™ technology for precise and swift shifting.